We check over 450 stores daily and we last saw this product for $511 at Selfridges. Marni's mix of shape and texture extends well beyond its ready to wear. 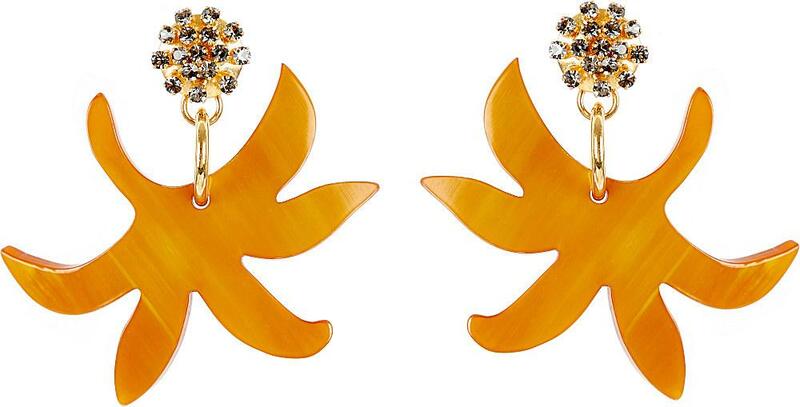 The Italian brand's cleverly contrasted aesthetic inspires the two part design of these clip on earrings. A caviar cluster of crystals sits at the stud, before dropping to statement star shaped cutout that evokes an exotic creature discovered below the sea. 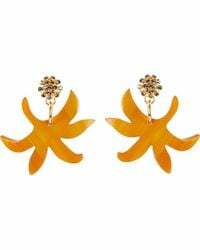 Marni clip on horn earringscrystal stud, horn pendant, gold toned metalMade in Italy.